The Goose Class Canal Boats. 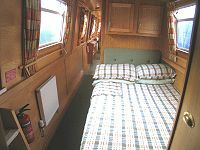 Design : The Alvechurch Goose is a 69ft long, 8 berth semi-traditional stern narrowboat. It has a quiet water-cooled diesel engine with simple to use controls. 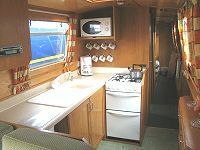 Berth : As this is an 8 berth boat, there is a choice of a double berth or two singles in the rear and one centre cabin. 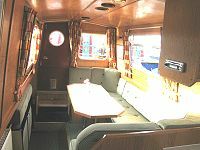 There is a fixed double in the other centre cabin. These beds have interior sprung mattresses. An optional dinette/double is available in the saloon.